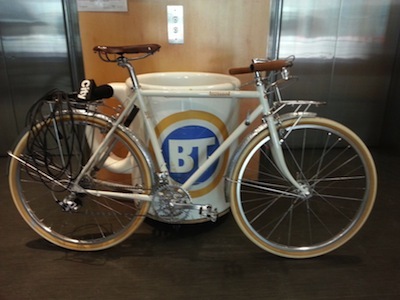 I was recently invited to Calgary’s Breakfast Television to take part in the Bike to Work Day campaign. Lonny Balbi, event organizer for the Bike to Work Day event, has done a great job of creating awareness and an environment for a fun and safe commute for the past 8 years. The event takes place on May 2nd. I had a great time with the BT crew and other local bike shop people, especially the great folks at Rogue, who supplied me with some new hip cycling swag to model! It’s exciting being involved in the Calgary cycling community and to provide the support and awareness these events and shops deserve. I’ll be out on my bike with the rest of the Calgary commuters May 2nd. Here are a few links for your browsing pleasure.